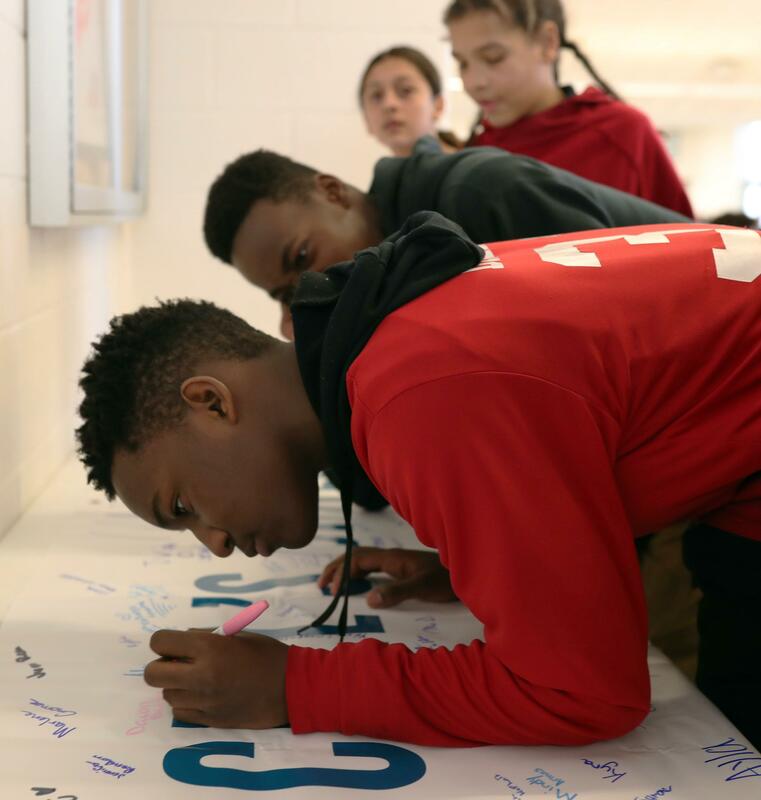 Heritage Middle School Launches Kindness Initiative through "Rachel's Challenge"
Rachel Scott was an American student and one of the first victims of the Columbine tragedy. Rachel’s Story and the Columbine tragedy were introduced at Heritage Middle School yesterday at an intensity level appropriate for Middle School. This was part of "Rachel's Challenge" which is a call to action for kindness based on the life and writings of Rachel. Rachel Scott’s story and her challenge to deliberately reach out to others with kindness shows the profound positive impact students can have on those around them. The goal of the program was to show our students the power of deliberately reaching out in word and action to others to start what Rachel called "a chain reaction of kindness and compassion." The students learned many virtues from the presentation, and a club has even been formed at Heritage to continue to reinforce these themes based on Rachel's life. Thank you to the Heritage leadership team for organizing this event for our students!